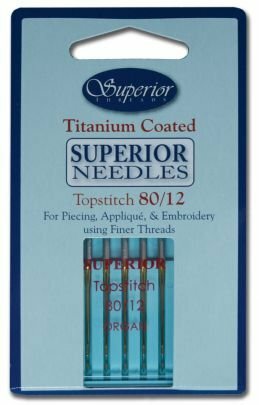 SUPERIOR Titanium-coated Topstitch #80/12. Guaranteed to last 5-8 times longer than regular needles. Recommended for piecing and quilting with fine threads.